Did you have the opportunity to join us at one of the popular Pints from the Past lectures a year ago when Laurie Matthews, award-winning preservation planner and historian, talked about her work on the Willamette Falls Cultural Landscape Report? If not, you can catch her presentation here. The bulk of the work has wrapped up and Matthews has released the draft Cultural Landscape Report. Cultural Landscapes are used to create a lens that allows the stories of a place to live on after many of its historic elements have been lost to time. A Cultural Landscape Report (CLR) is a place-based research and planning document that ties information from the public record—documents, photographs, illustrations, and oral histories—to a place focusing on how it has developed and changed over time. For Willamette Falls, whose history is extraordinarily long and complex, the CLR helps us understand the people and forces that have shaped it and provides glimpses into its character at different moments in time, which is a combination of the natural environment, built environment, and people that manage and live in that environment. The Willamette Falls Cultural Landscape Report includes a narrative summary of the site’s history that is supported by hundreds of historic illustrations and photographs, a set of historic era plans that provide a snapshot of the site at different moments in time depicting its transformation, and an annotated chronology that provides details about the site’s change over time. The report highlights the cyclical nature of this place’s story and connections, focusing on historic moments we should celebrate and those we need to continue to learn from. The Willamette Falls Legacy Project recognizes that many tangible elements of some of the site’s history are gone, but our understanding doesn’t have to be absent as well. One of the Willamette Falls Legacy Project’s four core values is Historical and Cultural Interpretation. The Cultural Landscape Report will help guide the project in telling the stories of this extraordinary place through the design, construction and interpretation of the riverwalk. “In order to have this core value rooted in strong academic research, we knew we needed to move forward and create a cultural landscape study that really was able to give strong direction and a good basis for our design team to work on the riverwalk,” Oregon City Senior Planner Christina Robertson-Gardiner said. Matthews is the Director of Preservation Planning and Design at MIG and has spent more than two years developing the Cultural Landscape Report for the Willamette Falls Legacy Project. 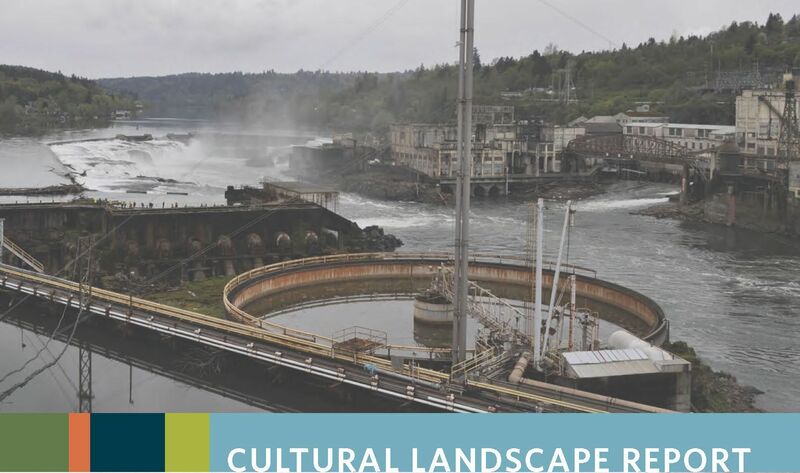 The draft Cultural Landscape Report is an appendix to the Willamette Falls Riverwalk master plan that was adopted by the Metro Council earlier this month. Oregon City commissioners are expected to consider approving the master plan in February.